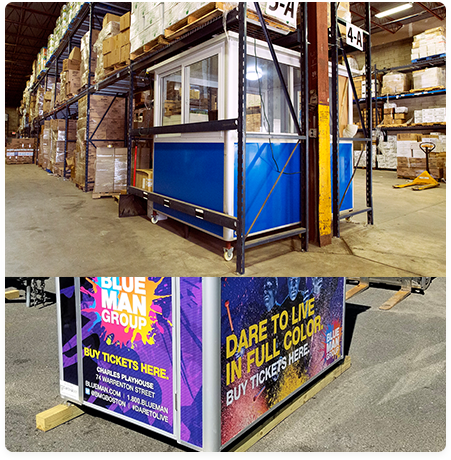 Purchasing a guard booth is an investment in both safety and security. In addition to creating a focal point for visitors and ingress, it also provides shelter for guards. 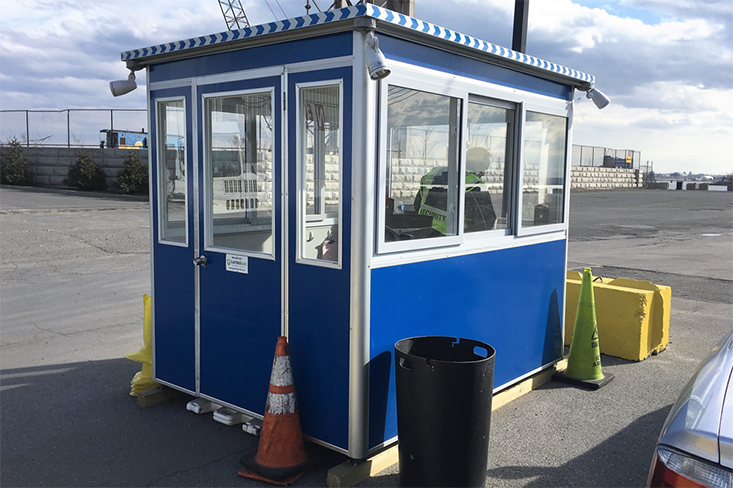 In selecting the right guard booth for your application, you need to consider the location, the safety needs, and the cost. Though commonly called bullet proof guard booths, a more accurate term would be bullet resistant booths. With enough firepower and enough time, very few things are totally bullet proof. A bullet resistant guard booth or armored guard shack, however, is designed to slow down most threats and protect security guards. In locations where security guards are likely to become targets of gun fire, bullet resistant enclosure or material can make a significant difference. For police officers, wearing bullet resistant vests saves lives. The FBI says officers that don’t wear body armor are 14 times more likely to risk fatal injuries from gunshots than those that do. The Department of Justice reports more than 2,000 police officers are alive today because of wearing bulletproof material. The National Institute of Justice ascribes ballistic ratings to various weapons from small-caliber handguns to high-powered rifles. You can typically choose your level of bullet resistance using these ratings. For instance, there are different ratings for bullet proofing, from level 3 which can stop a .44 Magnum bullet to Level 4 which stops a .30-06 hunting rifle bullet. The higher Ballistic rated guard booths you need, the tougher it is to build and consequently the more expensive it will be. You’ll want to consider your options carefully before making the decision to invest. When you absolutely need high security guard booths that are capable of resisting bullets, so-called bullet proof guard shacks are the ultimate in safety for your guards. They are not, however, necessary in locations with little risk of gunfire exposure, and will typically cost you between $70,000-$100,00 more than a non-bullet proof guard shack of the same size. In many cases, that money could be invested more wisely to better safeguard your overall premises. CONS: Very Expensive, not always necessary, not available for rent. The most common and more typical application is a non-bulletproof guard shack. Often, this is all that is needed and can be relatively affordable depending on size and needs. In picking the right guard booth, you will want to balance your safety needs along with cost. You want a durable, well-constructed, and long-lasting booth that fits the style you need. In addition to comfort for your guard, it should provide a secure location in case of threats. It should provide a 360-degree view of the area for maximum situational awareness. 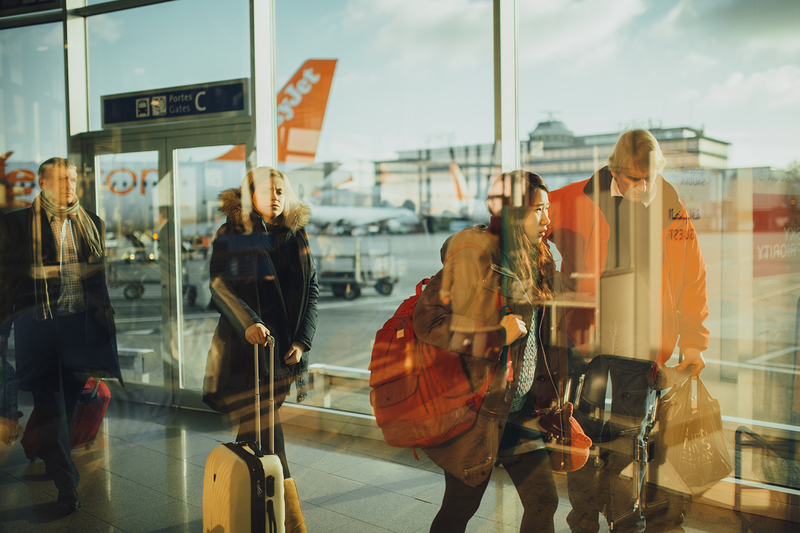 Consider tinted windows to mask employee movements and provide a deterrent to theft and vandalism even when unoccupied. Even if you select a non-bullet proof guard booth, you can still upgrade to glass that is shatter-resistant and weather-resistant. Features include Fiberglass guard houses, heating and air conditioning, interior and exterior lighting, and can even be built with restrooms to minimize downtime for guards. Deciding which guard booth will provide a safe and secure work environment for your employees, a visible deterrent to crime, and make a tough job more comfortable. If you’re not sure what the right decision is for you, we’re here to help. For pricing information, visit our pricing page or contact us directly.